Celebrating 30 Years of Happy! This month we have a wonderful new promotion. It’s all about the Happy! 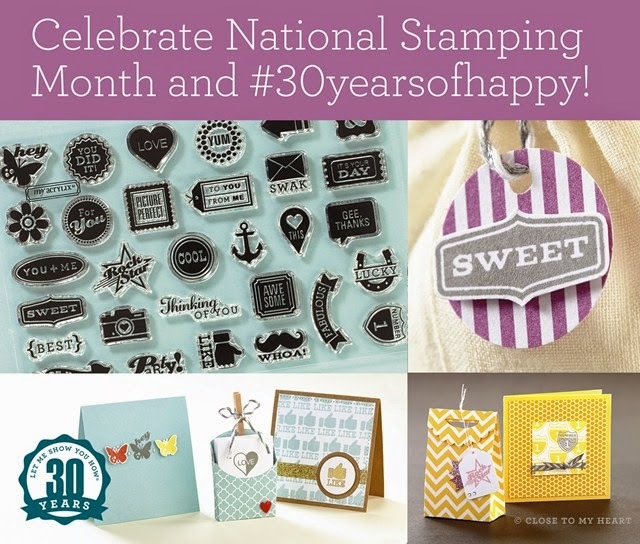 For the month of September we are celebrating Jeanette Lynton’s (our founder) 30 years in the crafting industry. And you get to join in on the fun. 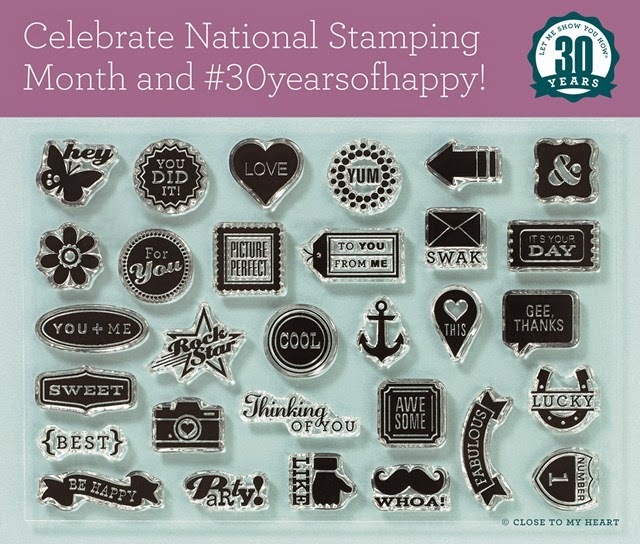 Just order $30 in stamp sets, and you’ll get this sweet stamp set, called #30yearsofhappy, for FREE! Yup, free. That’s a savings of $15.25! Contact me to place your order and take advantage of this deal. Or you can go directly to my website to place your order.